RAMPART, the joy and pride of Bulgarian heavy metal, receive the honour of being the first band presented with an interview in Dead Void Dreams. 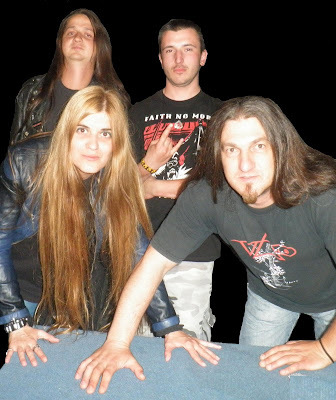 After a successful demo released in 2008 the band signed to the French label Inferno Records , who released their debut CD 'Voice Of The Wilderness' in 2009. 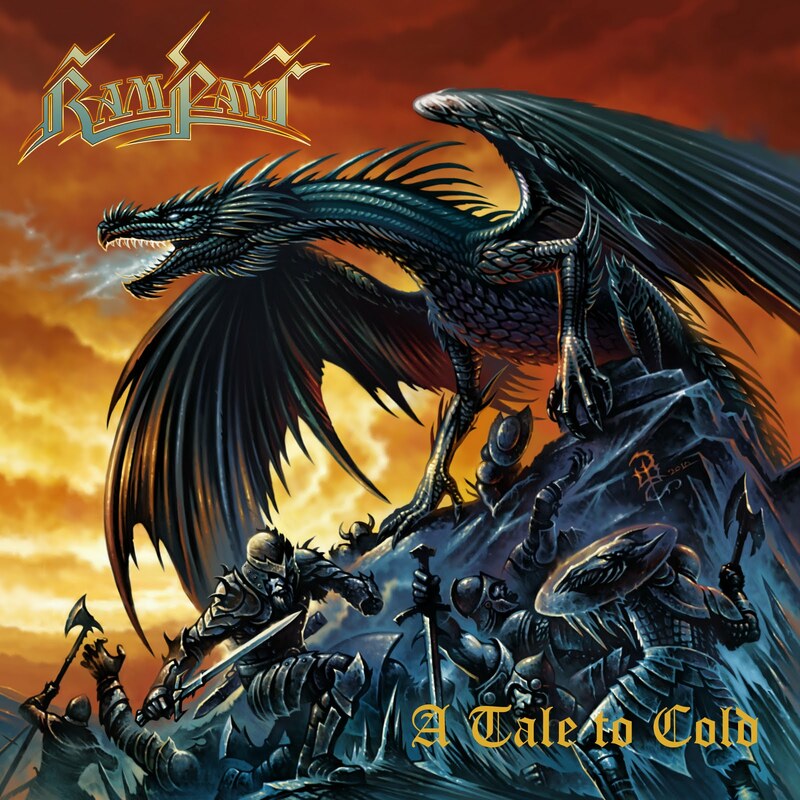 Now RAMPART is ready to strike again with a new EP, entitled 'A Tale To Cold', which serves as a teaser for the their second album, introducing the band's new line-up. Asen Asevov was highly enthusiastic providing the questions, Rampart's vocalist Maria Doychinova was truly generous delivering her insightful answers. Me? I grabbed a beer and enjoyed the conversation. Follow along...HORNS UP! Thanks! I have always believed that the heavy metal is a road ahead. When you play metal you often need a new beginning. Every musician who chooses this way should give something to enrich the style. This philosophy of mine includes lots of components, inspirations and critics. We are not coping the old bands. We want to develop it in a direction which we consider that it should be developed. That is why our line up has always included people devoted to the metal and loyal to its ideas. It’s normally for the young bands to have changes in the line up such as these we passed through. I am surrounded by people who make a lot for the metal. The new members of RAMPART are Vili Neshev on guitars, Svilen Ivanov on bass and Petar Svetlinov on drums. The bass player Svilen was playing in the band till 2009 when he left because of some personal divergences with the previous guitar player. Now he is back in the band and I am more than happy from this fact! Petar is a young drummer but he has experience enough. The guitar player Vili is an emblematic fugure for the Bulgarian metal scene – he is known from metal bands as VELVET PROJECT, EXHUMATOR, and PROJECT ARCADIA. 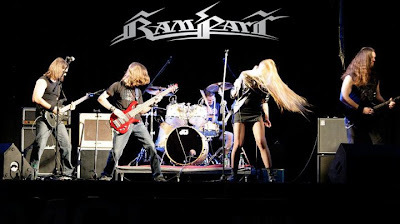 Because of his ideas and musicianship now the heavy metal of RAMPART takes a more progressive slant. I believe that this line up is a stable and successful team! What,exactly, were the reasons for parting ways with the old band members? Hm… Lately I often share the idea that we had not part ways with the old members. We just have new players in the team. Of course the Bulgarian fans deserve much light on this issue. They deserve it because usually this happens with the Bulgarian bands – they miss the chance to grow up after their debut album. I did not force anyone to play metal. Every member of RAMPART had made his own decision for himself in a particular moment of his life. When you step on this road some things begin to happen – you wish them to happen but you have to take the responsibility for them. A specific person did not succeed to carry the weight of his engagements toward the label, promoters and gigs organizers and finally – toward the people around him. The responsibility for the contacts and the reputation of the band is mine. Many times it happened to me to give explanations and to make excuses for unfulfilled engagements without having even a hint about the reasons. We made real the classic story about cutting the roots on which you’ve grown up. We passed also through the classic conflict between personalities. I highly appreciate the decision of some band members not to be involved in the conflict itself. They did not choose a side. No matter of the trivial “tragedies” which are characteristic for every band, I am ready to work with everyone who had passed the last years thru RAMPART. And at the moment I work with some of these musicians! But the engagement is still an engagement and besides the pleasure you also have to drink the bitter glass to its bottom. Your forthcoming EP is entitled 'A Tale To Cold', what is the reason for choosing this title? ‘A Tale to Cold’ is dedicated to a very brave friend of mine who fought with cancer for two years and passed away this February - Beatrice Lasne (R.I.P.). She was the founder of the webzine “Metal Heart”. She had a real passion for metal music. She was a great person and a real Metal Queen. We recorded the songs in June 2011. 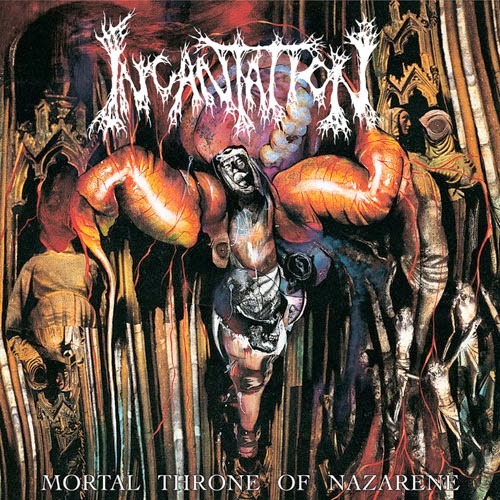 It will be released this summer via the French label Inferno Records. The main idea of this title is that we live in a world where we often meet cold and death. We have no real weapons against events of this range but we always do have tales and dreams! This is our tale against the cold! It expresses disagreement with injustices in our world. The release which will come out both in tape format and in mini-CD format is special to us and to our label. Its concept focus on the storms in a human soul and unites these feelings with the new beginning in the life of RAMPART. right? Could you, briefly, explain the themes behind the new songs? All the lyrics are mine. Lately I focus on the power of the will. 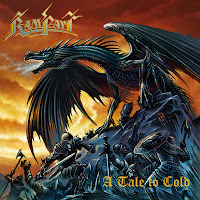 The new song “Stronghold of the Sun” is emblematic for RAMPART. Behind its title is hidden the main idea of RAMPART as a bastion of heavy metal at our latitudes. It is a story of survival. It is a symbol as well. To me this song is like a resurrection – it is the new stronghold built on the burned remains of the old rampart in the name of faith. This magical place reflects the new beginning but it is also very personal. I highly appreciate the support from a dozen British radio stations which found “Stronghold of the Sun” great and play it on air this month. This is an awesome recognition. Heavy metal is a style of music, lifestyle, religion ... For me it is a source of power. The lyrics of “Metal Spell” unite our strength as metalheads: men or women – WE ARE THE OTHERS!!! I do not reconcile with the ugly things. The ugliness in a literal sense and in a metaphorical sense is the reason every metal fan to revolt. This is the reason for revolution! You are not becoming a metalhead – you are born to be a metalhead! We will always say “NO” at the moment! We will always be less than the others, far from the pop-culture, from the TV life! But this does not make us loosers. The chiefs are less than the workers as well… I feel the whole metal as a support. It is a small thing to say that it inspires me and it makes me believe. I do the things around myself with no false and without selling myself. When I write lyrics I do not make compromises as well, I do not sing about love. Metal is a combination of culture and a system of values. Changing a main song-writer is deemed a risky move. At what lengths this might affect the band's style, in your opinion? We can learn from the history of many big bands that the change of the main composer is not such a risk. For some it had been a real revival. Besides this, the main composer is not the only one in a band who’s able to make music. Our style did not change. Or at least it did not change significantly. When we uploaded the song “Metal Spell” for listening at our My Space profile I forgot to announce the change of the composer, but no one said “Oh, what a difference!”. RAMPART is a contemporary heavy metal band which faces its development. A rather 'existential' question here. What best describes your role in the band - the soul, the heart or the brain? As I already mentioned I have to make decisions which are far away from the emotions. I had determined the values in my life long ago and now I just follow a cascade of events which are result of my determination. At the moment the situation requires from me to be the brain of RAMPART. Here is my power. And here are the obstacles which I have to overcome. Not everything is a party and sensitive art – things begin to happen because of the will of the people, not only because of my will. Band's debut album, 'Voice Of The Wilderness', has received critical acclaim. Do you expect to gain the same support for the new EP? Do you have plans to present those new songs live? 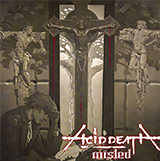 Indeed the album has an excellent feedback from the metal community. We are a band with clear own style. 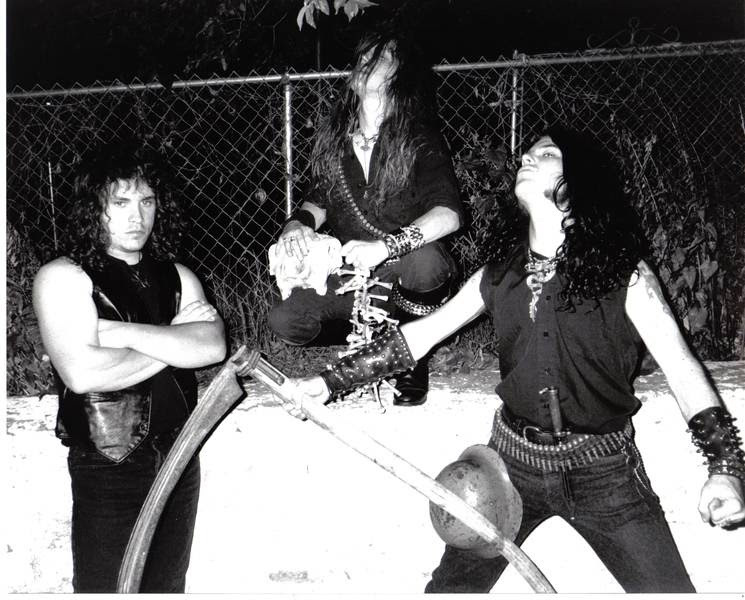 We did not become a sensation, as it was for example the debut of HAMMERFALL, but according to our label we are one of his strong titles as sales. Our debut was a step ahead for us and… I hope for heavy metal as well. I expect support from the metal circles for our new EP as well. I am proud with every fan who judges our music on its merits. We will present the songs from the EP on 30th July at a moto-rock festival at Polski Trumbesh (A small Bulgarian town - ED). And we will also perform them during our first visit in the UK under the slogan “A Metal Crusade in the UK”. The first gig will be on 10th August at ‘Scream Lounge’, Croydon, London, and the second will be on 14th August at ‘The Star Inn’, Guildford, Surrey. We will be happy to play with the Welsh band TRIAXIS on both shows. In the ‘Scream Lounge’ we are glad to have the support from the thrashers from BLEED TO THIS and the dark prog alternative band THE MARIANA HOLLOW. We will present all of our new songs and we hope that they will touch the hearts of the fans. And we already received invitation to play in 2012 back in the UK. Songs like 'Metal Spell' and 'The Flood' are fairly fast ones, in Gamma Ray's 'Man On A Mission' sort of way :). Are those easy to play live and do you think adding them to your set-list, since they are really great songs? Our set-lists are full mostly with fast galloping and smashing songs. Both “Metal Spell” and “The Flood” are now in our concert program. Without any embarrassing I would call the instrumentalists in the current line up of RAMPART virtuosos. Do they meet any difficulties? I do not know. But they play these fast songs very well. Thank you for your evaluation and welcome to our concert! Some time ago Rampart held a gig in honour of Running Wild, what are your other fave bands and do they influence you in creating your music? We listen to different music in wide range. I “steal” diamonds from heavy metal and thrash metal. Vili is a progressive fan who believes that if you catch the rhythm of a song from the first time this song does not worth the attention. 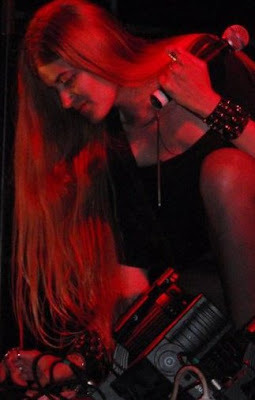 Svilen is a strange eclectic from punk negligence and precision of a studio musician. And Petar could sink into everything from heavy to death metal. In my opinion the bands which explain constantly how unique are they… are just funny. We have set that our place is the contemporary classic heavy metal. You cannot create anything of value if you have no restrictions. I definitely do not understand the free jazz… I will leave the listeners of our music to find the comparisons and the parallels just because it will be very interesting to me! To what lengths do you spread the dreams concerning the band? Our dreams spread wings from Polski Trumbesh to Wacken on the wide catenary’s parallel. We aim to put Bulgaria on the heavy metal map. 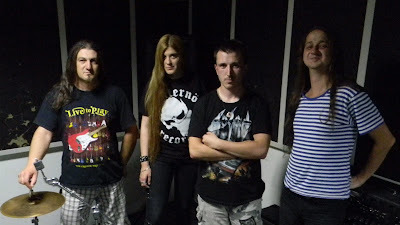 We want to break the spell upon the Bulgarian bands to disappear after their first successful recording. Most of our modest goals are already over the horizon. Going back to the new EP - what does it offer to the fans, are those songs exclusive to this release, or you're planning to use them in the forthcoming sophomore album as well? All of the tracks in the EP will NOT be included in our sophomore album. The first release of the EP in tape format is devoted to all metal maniacs who still remember the times when we were collecting hundreds of tapes. Later the EP will come out in CD format with bonus tracks. So “A Tale to Cold” is special from each point of view to the fans. Any updates on the new album you're working upon? What shall we expect from it? When is the recording planned for and what about the release date? Everything is still in working process. We recorded some tunes. We keep the direction of making fast dynamic songs with evident own specific melodies. The album will start with an unusual intro and it will contains eight tracks full of passion and energy, brilliant guitar work and pounding rhythms. I will not reveal the title because it’s too early for this. The album will be fully recorded in the winter of 2011. It is planned to come out in February, 2012. Now we are focused on some live gigs till September but meanwhile we spend lots of days working on the album as well. This release will be the next step of development for RAMPART. Are you satisfied with the sales of the debut album? Could you tell us how many units of it have been shifted so far? We are satisfied! For a year and a half the 1000 copies of the album are sold out. There are people, even in Bulgaria, who will find this funny. For me this is my platinum album! There are people who are not satisfied with the sales. But they have to take a survey of the modern world! What about a possible DVD release for Rampart, any chances of that? The filming of some significant gigs and making of some videos are planned. But we are a young band. The DVD-format in the next years will be fulfilled only as bonus disks to different releases which also are planned. Maria, thanks for taking the time answering these questions. Do you have any closing message for the fans? Be yourselves to the end! We promise that we will be ourselves to the end! And particularly to the Bulgarian fans: Stand up when you are at concert of a Bulgarian band and show that you are a wall of titans! Do not allow these bands to give up!